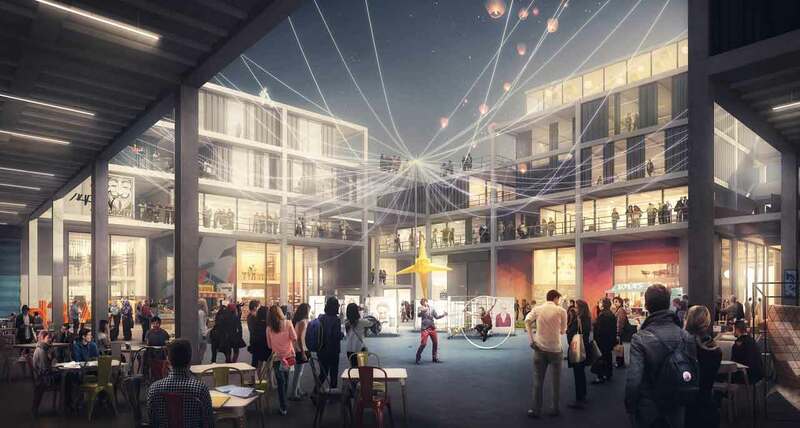 Following the delivery of phase 1 of its masterplan, Dubai Design District (d3) has revealed development plans for a dedicated Creative Community which will cover around 1,000,000 square feet within d3. The development will sit alongside the newly developed ‘core buildings’ and act as a thriving cultural epicentre at d3, inspiring emerging designers and artists, and attracting visitors to the area. Phase 2 of the project is expected to officially open its doors in 2017, providing an incubator for emerging local designers and artists, as well as bespoke environment for art galleries and studios wanting to showcase their pieces. The Creative Community is designed to evolve organically, as its unique ability to adapt to any purpose will enable year round use of the built environment to cater for regular changes in its occupancy. The concept behind the developments is the result of an ongoing dialogue between d3’s management team and the region’s existing pool of creative talent, which included focus groups, workshops, and a series of one-to-one sessions. Inspiration was also sought by visiting leading design destinations around the world, including New York’s Meatpacking District and East London’s Shoreditch, to better understand the core ingredients that make them popular and relevant. During an official visit earlier this year to view the d3 master development, Her Highness Sheikha Latifa Bint Mohammed Bin Rashid Al Maktoum, Vice Chairman of the Dubai Culture & Arts Authority, formally endorsed plans to develop the Creative Community as her substantial experience in encouraging local talent and inspiring their creativity will help towards building a vibrant and culturally rich society. The Creative Community’s final design was chosen following a competitive process involving a number of highly regarded architecture firms. The winning design, produced by Foster + Partners includes flexible offices; co-working communal facilities; outdoor display venues; pedestrianized spaces; climate solutions; an emphasis on creating vibrant and attractive landscaping; and a contemporary approach to architecture. This will all be actively fused together with year-round place management and event activations. Mohammad Al Shehhi, COO of d3 commented: “d3’s pioneering Creative Community will help to foster the growth of the UAE’s design industry by acting as a dedicated destination for all things design, fashion, art and luxury. An exciting year round programme of events and activities will drive visitor footfall to d3 and increase international appreciation for regional creative talent. Dubai Design District, better known as d3, is dedicated to fostering the growth of the Emirate’s design, fashion and luxury industry. It offers businesses, entrepreneurs and individuals a creative community that will be at the very heart of the region’s design scene. d3 is the newest of TECOM Investments’ freezone business parks – with 11 buildings currently under construction. Once complete, d3 will be a purpose built environment catering to the full value chain of the design, fashion and luxury industry – and all with the vision of creating a world class creative community that engages, nurtures and promotes local, regional and global design talent. d3’s facilities will include everything from cutting-edge design institutes to residential, hospitality, retail and office space. The District will be characterised by distinct public areas, unique street furniture and shaded walkways. The development will include a Creek-side esplanade with international and boutique hotels, a pop-up shop area, amphitheatre and a convention centre. Located close to Mohammed Bin Rashid City and adjacent to Dubai’s Business Bay, d3 is a short distance from the city’s arterial highways and two international airports. The District is in sight of the Creek, Dubai’s historic and mercurial trading epicentre, Burj Khalifa, the world’s tallest building, and Dubai Mall, the world’s largest shopping complex. Foster + Partners, one of the most innovative architectural practices in the world today, is based in London with offices worldwide. Over the past five decades the practice has pioneered a sustainable approach to architecture and ecology through a strikingly wide range of work, from urban masterplans, public infrastructure, airports, civic and cultural buildings, offices and workplaces to private houses and furniture, working from the scale of an entire city masterplan to a door handle. The studio has established an international reputation with buildings such as the world’s largest airport terminal at Beijing, Swiss Re’s London Headquarters, Hearst Headquarters in New York, Millau Viaduct in France, the German Parliament in the Reichstag, Berlin, The Great Court at London’s British Museum, Headquarters’ for HSBC in Hong Kong and London, and The Index tower in Dubai. There is also a strong interest in city planning and infrastructure. Current projects include the Zayed National Museum in Abu Dhabi and the new Mexico City International Airport. 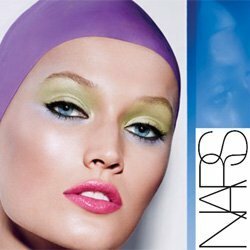 The practice has received over 680 awards for excellence and won over 120 national and international competitions since its inception in 1967.